History may not repeat itself, but it rhymes, said Mark Twain, and one of the verses we’ve been hearing is the sound of Japan tinkling from nuclear fallout, in the chord of Chernobyl. 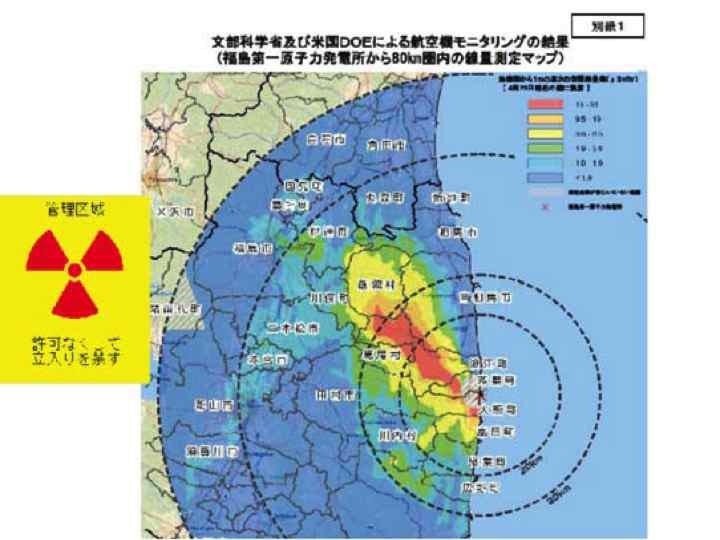 In February of 2012, an official Japanese inquiry revealed that evacuation of Tokyo was considered by the government even before the hydrogen explosions at Fukushima Daichi but was forestalled by ordering human cannon fodder into the blazing radioactive reactors. Last week it was reported that a Tokyo evacuation would have required the Kuril Islands to receive refugees, news that raised ire in Russia, which captured the 56-island chain 810 miles off Japan’s northeastern shore at the end of World War II and has no intention of returning it to Japan, even in such dire circumstances. The Fukushima reactor complex is not out of the frying pan, the Japanese government is still attempting to make an omelet from its broken eggs, while occasionally acknowledging it hasn’t a clue how to do that. Arnie Gunderson of Fairewinds Associates told Alex Smith on Radio Ecoshock earlier this month that the nuclear fuel pools left tottering in blown up buildings would be toppled by another earthquake, putting Tokyo at risk. And, he said, the likelihood of another large earthquake there, soon, is very high. Gundersen said it is unlikely there would be an explosion as the Fuke #4 swimming pool collapses, but dangerous “hot” particles would still be propelled around the world, because within two days of the collapse, the Zircalloy and radioactive metals (Technicium, Strontium, Cesium and Plutonium, for instance) would burn at a very high temperature, sending particles eight miles high. 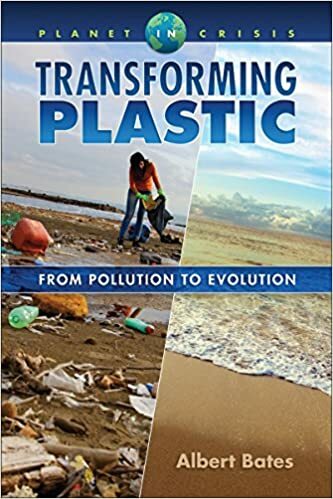 The result would be an everlasting disaster for Japan that could create a permanent no-man’s strip 50 miles wide across the country, dividing it in half and, by the way, lethally contaminating Tokyo, 238 km (148 mi) to the South. 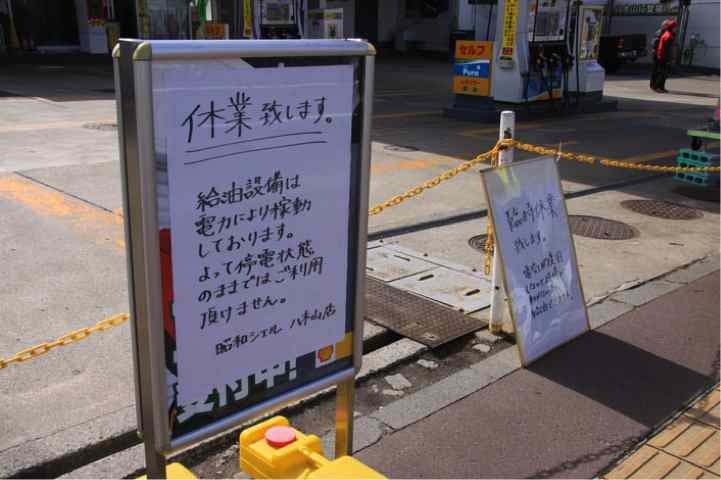 Gunderson said that anyone living in or near Tokyo should evacuate at the first news of another earthquake and fire at the plant. 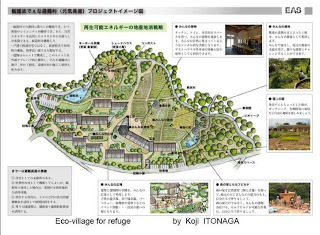 One of the best talks at the 11th Australasian Permaculture Convergence in Turangi, New Zealand last week was by Toru Sakawa, a permaculture farmer and teacher in Northern Japan. 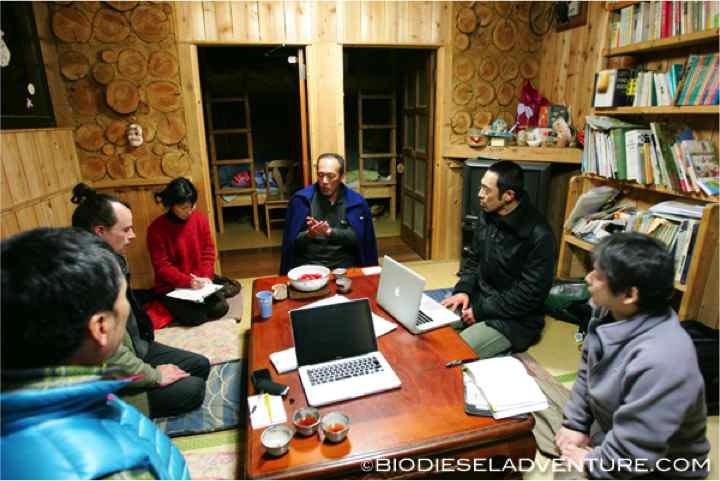 Toru began his permaculture career 20 years ago in New Zealand, as a WWoOFer at Rainbow Valley Farm, where he received his permaculture design certificate. 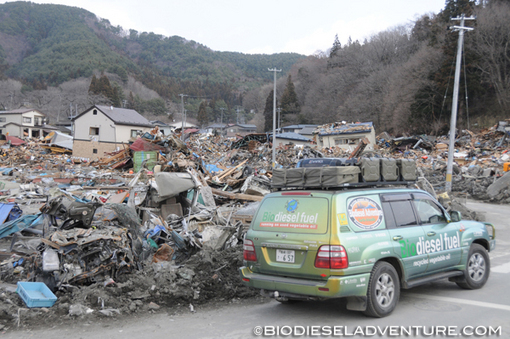 When the earthquake, tsunami and nuclear disaster befell his country on March 11, 2011, Toru’s farm was being visited by an expeditionary film crew called Biodiesel Adventure, which had been driving around the world on waste vegetable oil. 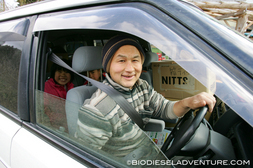 Leaving Tokyo in December, 2007, they had driven from Vancouver to Washington DC, including a stop at Los Angeles Eco Village, then Europe, Africa, Kazakhstan, Russia, China, and back to Japan. 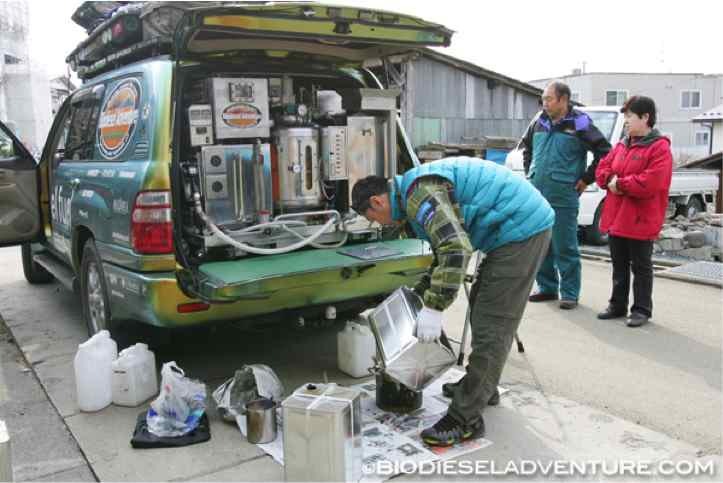 In the months that followed the disaster, they could continue to drive around Fukushima Prefecture when no-one else could, because they made their own fuel onboard the vehicle. 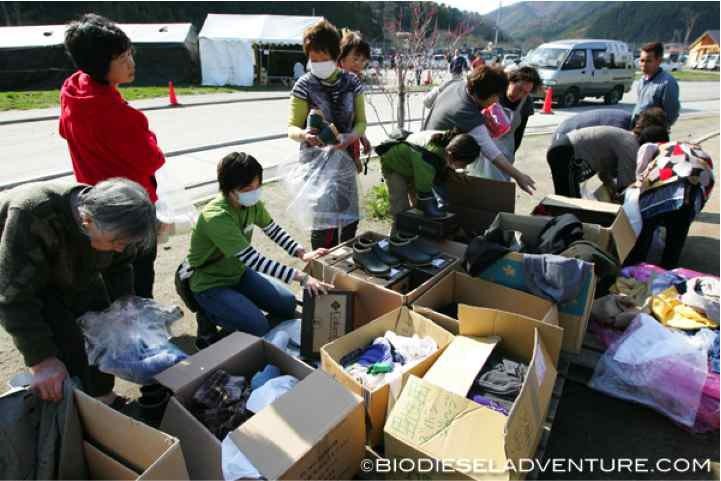 Heroically, they abandoned their view tour and morphed into Biodiesel Relief, using Toru’s farm as their base camp. 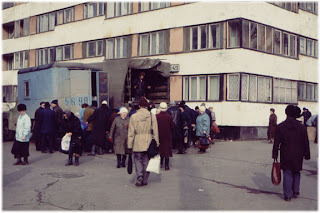 The nuclear meltdown at Chernobyl 20 years ago this month, even more than my launch of perestroika, was perhaps the real cause of the collapse of the Soviet Union five years later… The price of the Chernobyl catastrophe was overwhelming, not only in human terms, but also economically. Even today, the legacy of Chernobyl affects the economies of Russia, Ukraine, and Belarus... The twentieth anniversary of the Chernobyl catastrophe reminds us that we should not forget the horrible lesson taught to the world in 1986. We should do everything in our power to make all nuclear facilities safe and secure. 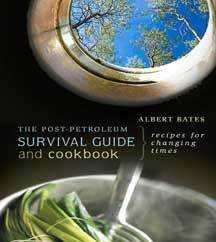 We should also start seriously working on the production of the alternative sources of energy. 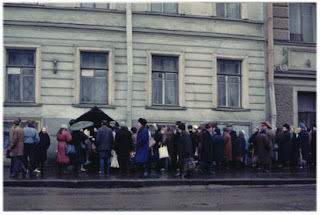 Lest we forget, it was the collapse of the former Soviet Union that precipitated the “Special Period” in Cuba, wherein the Cuban export trade disintegrated, imports of subsidized commodities, especially petroleum, vanished overnight, and the population was left to a diet of one-third less daily calories and clunky Chinese bicycles to take them to and from work. Cuba became a nation of skinny farmers, growing 80% of the food consumed by Havana within city limits. We might not have expected to see that rhyme repeated in Japan, but it has begun being chanted. Some things happened right after the multiple meltdown that were not in anyone’s emergency planning documents, but this is what a nuclear meltdown feels like. Without electricity filling stations cannot pump. 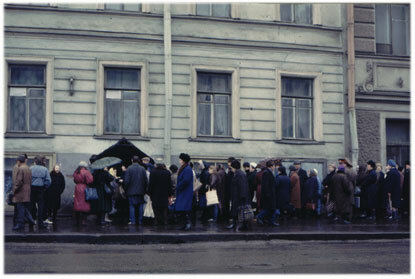 Cars pile up, first in long lines, as they did in Russia and Cuba, then simply abandoned on the street. 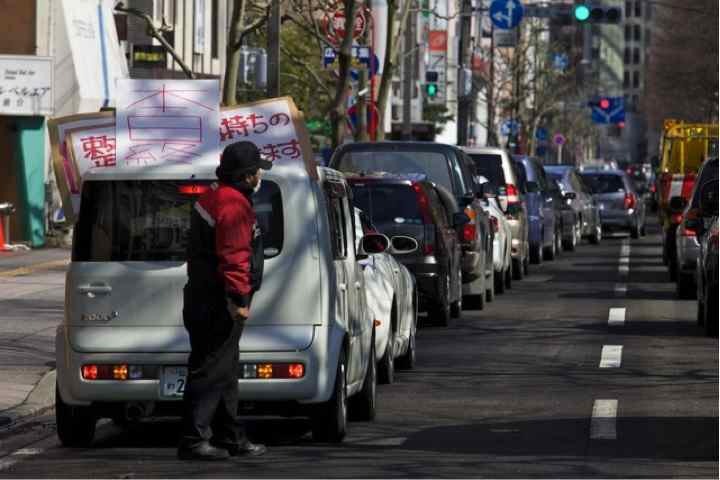 Four months after Fukushima, streets still held cars without gasoline. 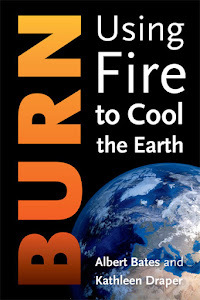 When there is no gasoline for cars, there is also no gasoline for trucks. This would include the trucks that deliver groceries from farms and processing plants to stores. In Japan, the shelves soon emptied of perishables, then staples such as rice, grains and noodles. What was left? Candy. Soda. Beer and liquor. 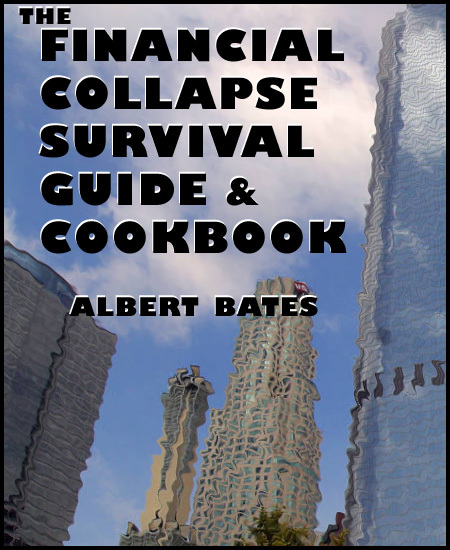 If you are thinking of what to stockpile for the financial collapse, the end of the dollar and the confiscation of gold, those cases of Grand Marnier and Beluga caviar may not be as good an idea as you thought. 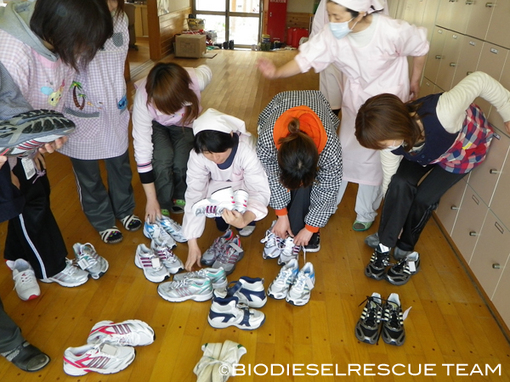 Toru Sakawa and Biodiesel Relief spent the past year making fuel from waste oil and moving supplies from farms to evacuation centers. What did they need most? Well, first, food. Toru shared his winter supplies of rice and grains, dried meat and eggs. Then he went to a neighbor to learn how to make tofu in a traditional wood-fired kitchen. Next, shoes. People had run out of their homes in the night barefoot. Then, bicycles. 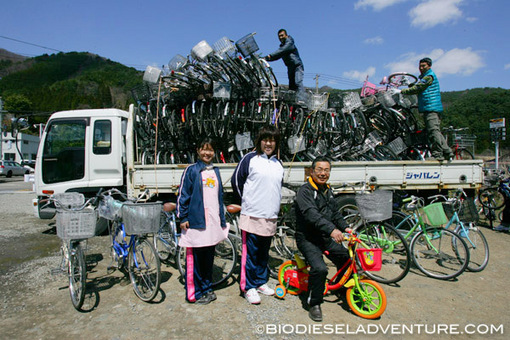 Bicycles are still more popular today and more people ride them than before the earthquake. Another similarity between Cuba and Japan was the sheer scale of the crisis burning up telephone wires and Blackberries in capitols -- surpassing any that had happened before then. In the Cuban missile crisis the White House and Kremlin were on hair triggers, the US talking about an air strike against missile silos that Pentagon generals were blissfully unaware were already armed and launch-ready, under the command of field officers, and aimed at major cities where their families lived. In Japan they were thinking of sending 20 to 60 million people to Russia and China. Bureaucrats were tasked to draw up contingency plans, post-haste, like, by next morning, if you please? The mind boggles. In Cuba the crisis was fueled by a combination of the Monroe Doctrine (the US retains its Manifest Destiny to be the sole colonial empire in the Western Hemisphere), a rabid Cold War political dialectic -- better dead than red – and an inchoate fear that whatever philosophy Fidel Castro had contracted fighting against Generalisimo Batista might be contagious. All patently insane. In the latter case the crisis came from the technological insanity -- borne of advertising hype; peaceful atoms, energy too cheap to meter -- of untethered desire to power superspeed trains and svelt coffee pots by bubbling a brew of the deadliest poisons ever invented, at temperatures approaching the Sun’s. In both countries the insanity was driven by herd behavior, with each herd -- generals, politicians, consumers, engineers -- conditioned to be stampeded easily. Fortunately for us, John F. Kennedy was less easily cowed than were post-war Japanese industrialists, economists, politicians and antinuclear activists. Both Kennedy and Khrushchev understood the enormity of the risk, and the Cuban crisis was brought back from the brink by cool-headed negotiation. 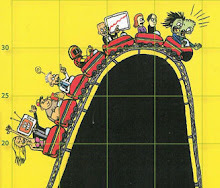 In Japan the juggernaut that bought us a crisis that no one has yet invented a way out of still grows larger by the day. At least the Chinese have pre-positioned some empty cities. This is a wise preparation for any nation considering following its nuclear Sirens’ wails. "A Māori teacher from the school, his face covered in spiral tattoos, stepped forward into the field, and in the growing rain, walked around gesturing and insisting that the convergence was the best thing since sliced bread and these people would be silly to turn it away. 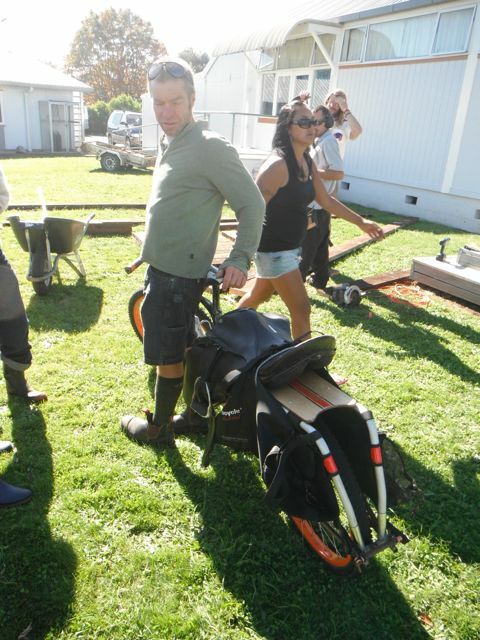 When he went on a bit too long, some of the women in the back of the permaculture group began singing a traditional Māori song to shut him up." The Māori people are the indigenous people of Aotearoa (New Zealand) who first arrived in waka hourua (voyaging canoes) from their ancestral homeland of Hawaiki more than 1000 years ago. Today, Māori make up over 14 percent of the population. Their language and culture has a major impact on all facets of New Zealand life and that has been experiencing a renaissance since a civil rights struggle in the 1960s brought about an honest effort to reconcile the cultural divide and give the Māori full recognition. 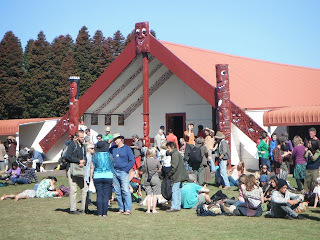 Resilience by Design, the 11th Australasian Permaculture Convergence, was hosted by Te Kura o Hirangi, a Māori school in Tūrangi, on the North Island. The Tūrangi-based kura kaupapa Māori now cultivate their own indoor and outdoor māra (gardens) with help from the permaculture community. 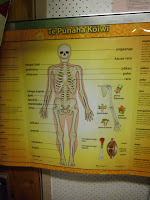 The school teaches in the Māori language and publishes curricula in Māori for other schools in New Zealand and Australia. 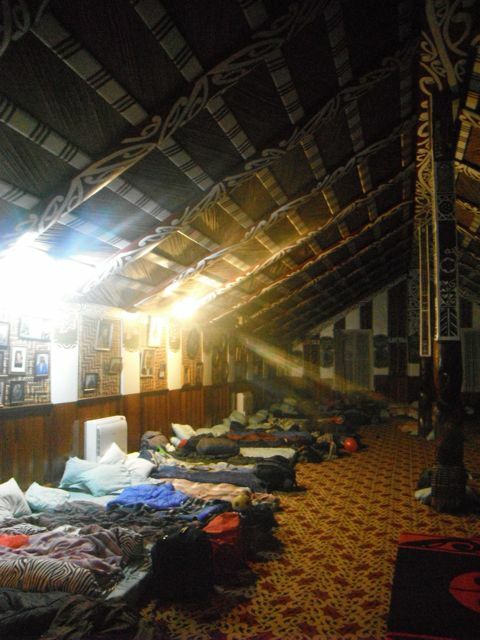 Our five-day hui (meeting) began with a formal Powhiri at the Hirangi Marae, the Māori lodge next to the school. 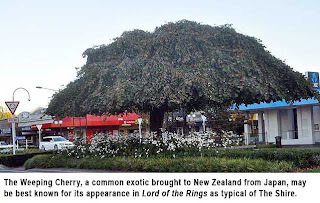 The Powhiri is a request for permission by the manuhiri (guests, in this case some 500 permaculturists from all over the world), to the tangata whenua hosts, the kura kaupapa Māori elders, to enter their territory in peace. 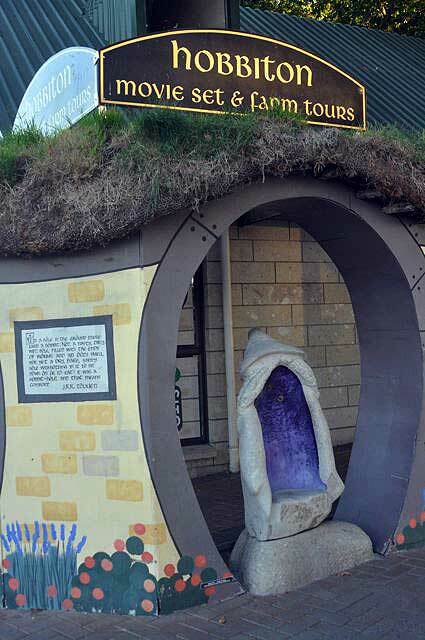 In a drizzling rain, the long line of guests entered the courtyard of the Marae from the Eastern gate, women and children sheltered behind the men. 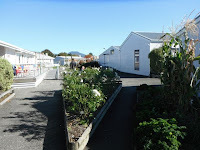 Once seated, the group was addressed by an elder of the Hirangi, who advanced a short distance into the open space from the Marae temple to deliver the wero (challenge). Behind him the line of senior tribal members, dressed in black, assembled to hear the request. Our spokesperson, an elderly member of the New Zealand Soil Association, advanced a few paces into the field and spoke in Māori. 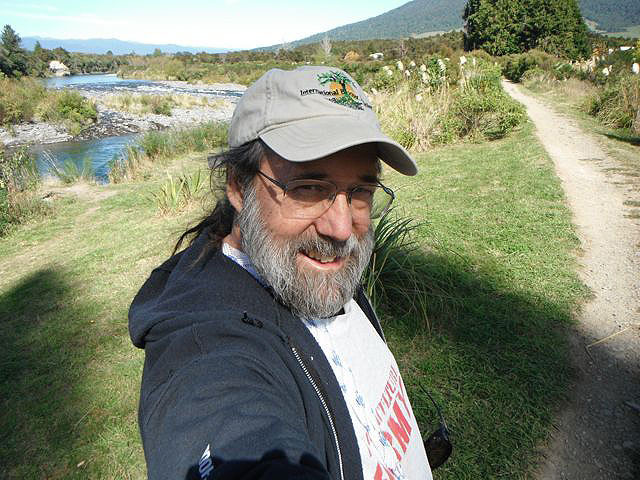 He explained permaculture, how it had benefited other places, and the benefits that it might bring to the kura kaupapa Māori. 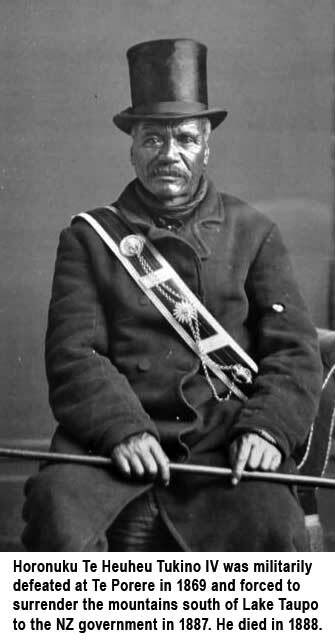 The Māori elder returned and spoke more, in Māori, challenging whether that was a good enough reason for the group to be allowed to remain. The visitor spokesman brought forward some of the distinguished elders who had been invited there as presenters and introduced them. A younger Māori then stepped into the field and spoke very firmly about the sovereignty of the Māori and the inviolability of the Marae. When he retreated, a second spokesperson for the visitors, a Māori teacher from the school, his face covered in spiral tattoos, stepped forward into the field, and in the growing rain, walked around gesturing and insisting that the convergence was the best thing since sliced bread and these people would be silly to turn it away. When he went on a bit too long, some of the Māori women in the back of the permaculture group began singing a traditional Māori song to shut him up. After the song concluded, he resumed, and so, after a few minutes of letting him carry on, they drowned him out again with another song. This time he finished his speech by bringing forward the koha (gifts) that our group had prepared and laying them on a blanket at the center of the field. After he backed up off the field, the Māori elders motioned for two young men to advance to the blanket and retrieve the gifts, which they did, never turning their backs to the visitors. 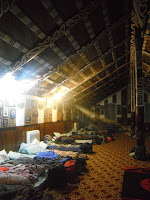 Each of the elders examined the gifts in turn, and, approving, they gave a nod to their spokesperson, who then proceeded back into the field and gave the tribe’s permission for the guests to advance to the wharenui (meeting house). With the elders sent out first, the entire line of 500 participants then proceeded to the hongi — rubbing noses with the Māori elders. One by one we clasp hands and draw slowly closer to the other person, eye to eye, until closing one’s eyes before making contact and lingering just a moment to inhale. This was repeated some 10,000 times as the lines passed through each other. The Marae is bounded by the wharenui on one side, the maka (long canoe boathouse), the field of our initial powhiri, and a huge dining hall with kitchen and additional outdoor dining area. After sharing kai (food supplied by Awhi Farm, a permaculture squat nearby, and local merchants), convergence events — scores of workshops and plenaries — proceeded at the Te Kura o Hirangi school. Locally sourced coffee was roasted in Raetihi and wine provided from the vinyards at Omori. At the end of the five days, the Hirangi kitchen crew came out to the dining area to accept the gratitude of the participants. Before leaving, they sang a song of who they were — this is my mountain, this is my river, this is our people, this is who we are, which was followed by a traditional Māori Haka from the men, young and old. We didn’t fully appreciate the significance of this Haka, called Ka Mate, although we had seen it routinely performed by the All Blacks professional rugby team as they psyched themselves up for a match. 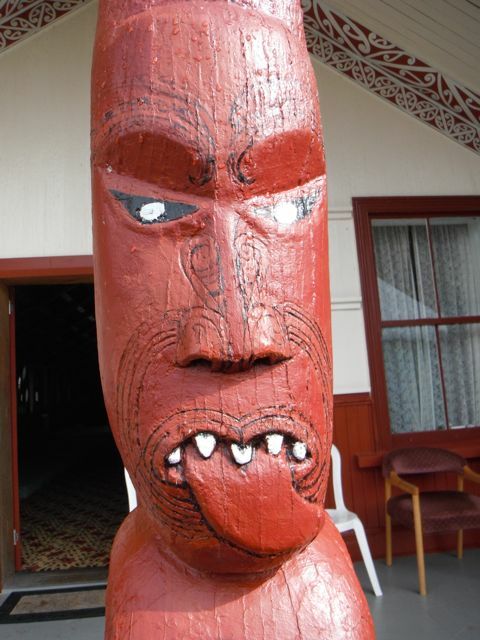 The All Blacks got this particular Haka from the Turangi Māori because it tells an especially moving story of surmounting obstacles to prevail. Today we were taken up to Rotopounamu, a crater lake in a dormant volcano, with views off towards the volcano shown as Mt. Doom in Lord of the Rings. It was near these high lakes that Te Rauparaha, his forces flanked in an 1820 battle, was routed and forced to flee for his life. Pursued by Ngati Maniapoto and Waikato enemies, he came upon a lakeside village and was hidden by an elderly woman in a food-storage pit. When his pursuers had passed, he emerged all hairy from the seed pods sticking to his sweat, and climbed back into the light to be met by his friends. This Ka Mate haka he later composed to express how he had felt at that moment. A step upward, another... the Sun shines! This is reminiscent of the greeting we commonly heard at the start of each day, and when the elders leaned forward to touch our noses, and when we were appreciative of something, or parting. 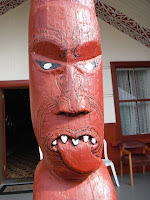 The expression “Ka ora!” — “Tis life” or “I may yet live!” is very close to “Kia ora” — “Hello” in Aotearoan. 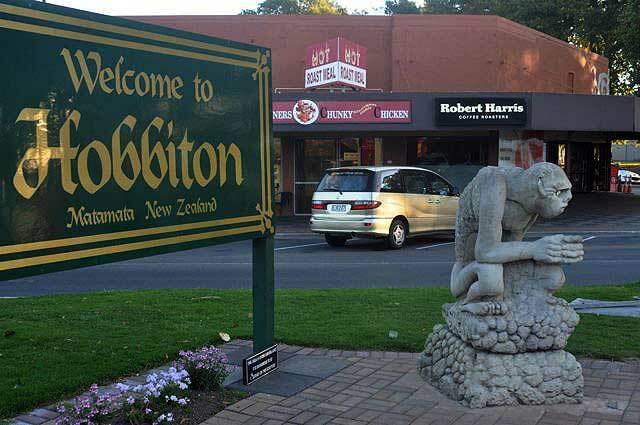 "Off to the northwest lies the Shire — we passed through Hobbiton only yesterday. Lake Taupo, which is beautiful in the fall colors, is this rugged land’s stomach." Before the end of the Age of Homo Petroleo, we’d like to travel to places we are unlikely to see again once jet fuel becomes prohibitive for commercially-viable air travel and in that time before sail transport can scale up to sate our wanderlust. We expect it may take quite some time for forests of hard mastwood to grow out to maturity once more, even in the tropics, and even longer for wooden boatbuilders and worthy sea captains to relearn extinct skills. This month we are in New Zealand. Next month our journeys take us to Alaska. Before the beginning there alone was Io, Io-the-parentless, Io-the-endless, Io-the-timeless, Io-without-limit. He moved and the Great Nothingness was born. In the spiralling currents it followed itself and searched. It found heart and became ignited. It thought as does a mind. And desired as does a dream. It took form and breathed. And in a second that was a million years, it multiplied and grew. To become a shadow. A darkness. A night. A night of gestation. A night for bearing the Ancients. There was Ranginui, the virile male, sky-bound and active. There was Papatuanuku, the female, land-bound and passive. They breathed together as lovers and in the Night-that-knows-no-end there were born to them seventy mighty sons. There was Whiro-the-dominant whose wrath was as an axe upon the tree, and Tawhiri-of-the-elements, whose breath was the wind itself. There was Tangaroa-of-the-seas, whose ceaseless waves would chisel away the land. There was Tu-of-the-red-face, by whose hand mankind would know war, and Turongo-the-gentle who would lay down the foundations of peace. There was Haumia-the-abundant who was lord over the fruits of the earth and Ruaumoko-the-lastborn, whose one tiny movement would cause the earth herself to quake and tremor. Finally there was Tane-the-thoughtful, whose actions and deeds would produce the world and all its parts. 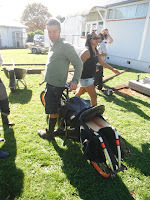 Aotearoa is an unusual place to host a permaculture convergence. 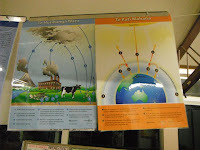 The previous ten Australasian Convergences have been in Australia. 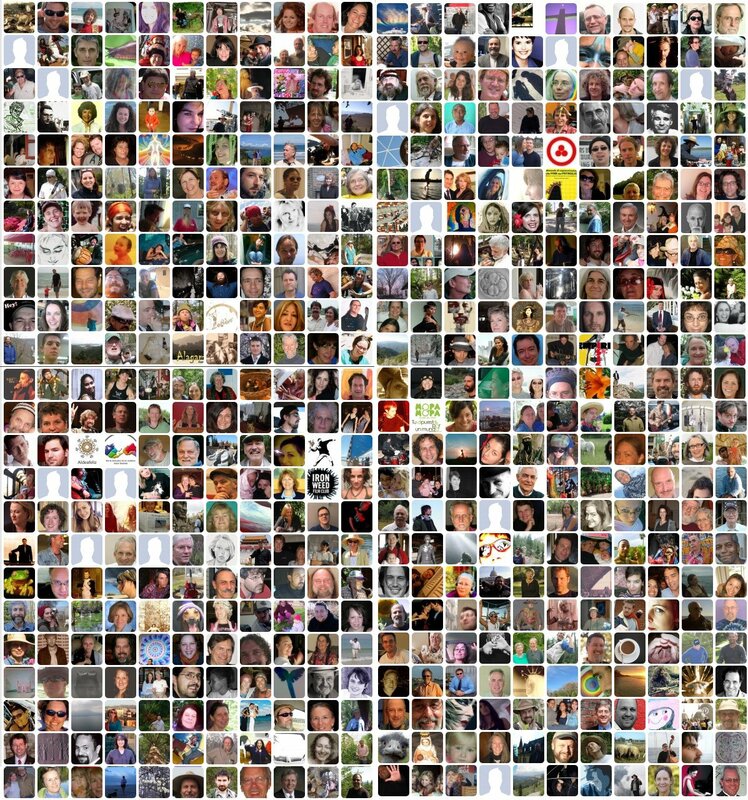 There are some 70 Ozzies here this time, but there are more than 400 others, many from other countries. As if to presage the emergence of glocalization, the majority come from right here, Aotearoa, or what the Pakeha (Europeans) called New Zealand. We will be reporting more from the Convergence, but we wanted to give our first impressions of this place. We are in Turangi, in the Lake Taupo bioregion, where a crystal clear trout stream runs down from still active volcanoes, the ones pictured as Mordor in Lord of the Rings. Off to the northwest lies The Shire — we passed through Hobbiton only yesterday. Lake Taupo, which is beautiful in the fall colors, is this rugged land’s stomach. The soils are so rich that the best farms raise racehorses and the forests produced Ithilien, where Sméagol chased and caught a fish near a waterfall. It was Tane who separated their parents to produce the sky above and the land below. And when his grieving parents' tears filled the world, he turned his mother over to stop Ranginui from having to look upon her face and be reminded of their separation. Tane brought light to the world by placing the stars in the sky, the sun at its zenith and the moon lower down on his father's head. He build the first house of nobility and it remains to this day the blueprint from which all homes are templated. He filled it with the knowledge of the gods, which he retrieved from the summit of the heavens at the instruction of Io-the-creator himself. He produced the trees, the birds, the insects and fish to clothe and adorn his mother, the earth. Finally, he created the first human, a woman from whom all peoples are descended. The world of eternal light where all beings were kin, no matter who or what, was born. Many times did summer and winter struggle in rivalry before Maui-of-the-topknot, half-man, half-god, was gifted to the world. Raised by his priestly elder, Tamanui, he was shown the secrets of the universe; the kinship that existed between all things that would allow him to take on the form of the tree, the bird, the fish, the lizard. He mastered himself and returned to his family ready to conquer. With a fearless heart he secured the magic jawbone of knowledge of his ancestress Murirangawhenua. And with it he caught and slowed down the sun, which sped across the heavens at will with little thought for the activities of man. He made fire available to people by forcing the very last flame of the Keeper-of-the-fires, Mahuika, to become imbued into the heartwood of the tree. He visited the spirit world to find his father and before his death at the hands of the Goddess-of-dearh, Hine-nui-te-po, he fished up these sacred isles. Lake Taupo and its smaller cousins formed from the Oruanui eruption, 26,500 years ago. A later eruption in 181 AD was viewed in the sky from Europe and China. The most recent eruption, a minor one, was less than a decade ago. As we biked the bridge over Tongariro River this morning, we were not far from the site of the Great Battle of the Last Alliance, where Elves and Men joined to rid the world of Sauron’s evil. Just up the river lies Dagorland Plain, where the armies of Isildur, King Aragon’s father, met a huge Orc host in 3231 SA. Ten years later Isildur was killed in hand combat with Sauron outside Barad-dûr, but managed to slice off that famous ring finger, which is why Sméagal was able to fish the One Ring from the river not far below this bridge where we can look down and see the shadow of our bicycle. Using the sacred jawbone as a hook, Maui-the-relentless hauled up his great fish from the depths of Te Moananui a Kiwa, the Pacific ocean. But as he paid homage to the gods for having given him such a wondrous gift, with greed in their eyes and lies on their tongues his four brothers took to the fish with knives. In its death throes it became torn and shredded with gullies and gorges, hills and mountains. In time, the stingray-like fish became the North island of New Zealand while the canoe of Maui became the South Island. 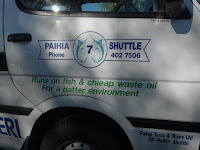 The head of the fish is at [the] capital city, Wellington. The ridge of mountain ranges that run down the center of the island is its backbone. To the east coast and west to Taranaki can be seen its fins. The stomach is Lake Taupo while the heart is at Maunga Pohatu in the Ureweras. Northland is the whipping tail of the stingray. 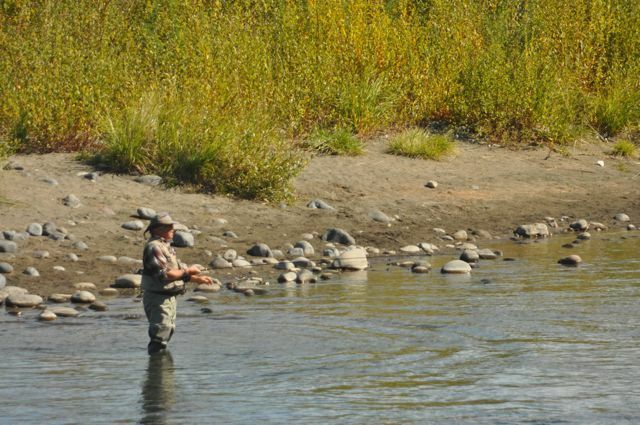 From tip to tip, fish to canoe, can be seen the myriad of extremities of this once virgin land. And many centuries ago, when the voyager Kupe with his family and wife came upon these islands shrouded in mist and cloud they named them Aotearoa, land of the long white cloud. 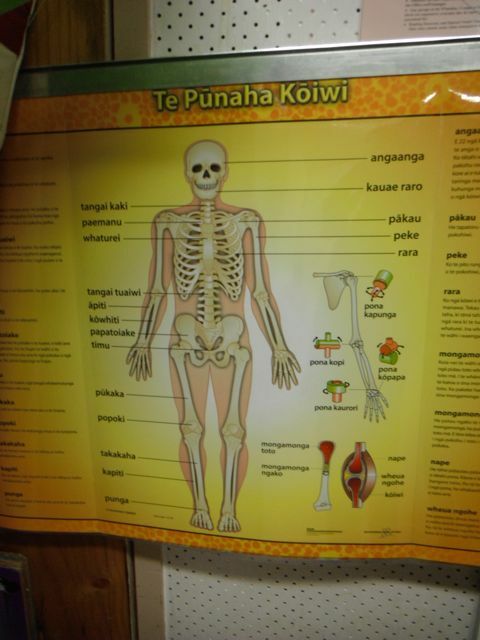 [Maori narrative courtesy of Chris Winitana]. The way we see the world is not necessarily “ding en sich,” the thing per se. Rather, our interpretation colors what we see; how we classify and articulate shades the perception itself. So, whether we elect to pursue a rigid adherence to empirical facts — the receding glaciers and volcanism that left their marks in local topology — or choose frameworks of myth and story — the knife slashes of Maui’s four brothers — matters only at the margin. One view is rich in geophysical symmetry, the other in nuance and revealed meaning. This richness, and our choice about how to regard it, are all about us, all the time, everywhere. Our choice has always been the liberal view — abiding in all ways, taking solace from all voices, and receiving wisdom of all kinds. This is a very colorful tapestry, even when not perfectly coherent. It is a perfect whatever it is. 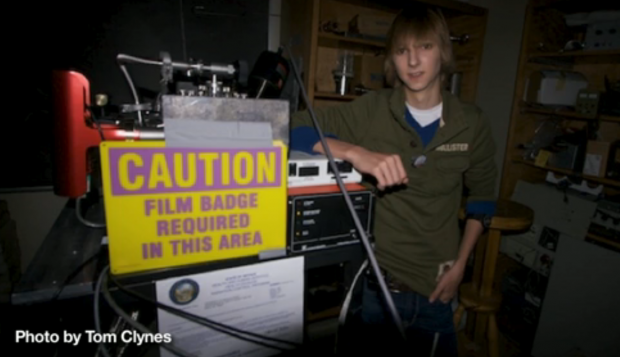 At 11, he started mining for uranium and buying vials of deuterium gas and plutonium on the Internet. 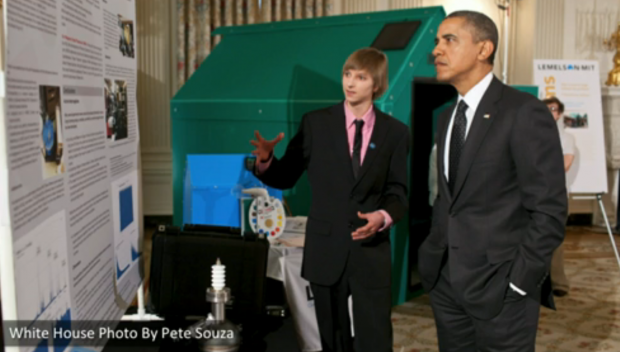 At 14 Wilson became the youngest person to build a fusion reactor, at home, in his parents’ Texarkana, Arkansas garage. At 17 he gave a TED talk describing how, besides the fusion device, he had developed an advanced nuclear radiation detector, a radio-telescope, and even a cure for cancer. That cure is something he wishes he had now. Like all the other inventions, it was more hype than reality. Wilson was not even born when Three Mile Island and Chernobyl reactors melted down but he was undeterred by the four-reactor explosion at Fukushima in 2011. The string of nuclear accidents in the following decade in France, India, China, Cuba and the United States did not phase him either, because he assumed it was just bad engineering or stupid operators. “I finally began to grasp the problem when a routine x-ray found nodes on my lungs,” he said. Immersing himself in health science, he read Radiation and Human Health by Dr. John Gofman, a co-discoverer of plutonium. He credits that book with changing his outlook. “Suddenly I saw into the submolecular level for the first time, and understood the interaction between ionizing radiation and living structures, like my own DNA. Ionizing radiation is one of the most biologically destructive forces in the universe. It is fiendishly inappropriate to try to tame it for a source of energy or anything else. We should never have unlocked it in the first place.” Wilson’s voice trailed off as weakness overtook him and he became unable to continue. Well-wishers from all over the world have sent cards that fill his hospital room.